At ChamberMaster, we're excited for the 2017 ACCE Annual Convention in Nashville. Some of the best in the biz attend the annual convention, and it’s a can’t miss experience. See the latest chamber success strategies. Attendees take part in three jam-packed days. It’s a great opportunity to connect with peers, learn about what trends are impacting the chamber of commerce world, and learn from a variety of experts. 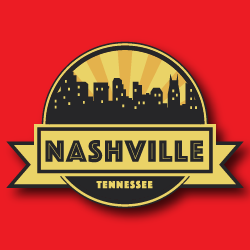 From top-notch keynote speakers and peer-led workshops to casual networking and fun outings in Music City, this year’s convention should be amazing. ACCE strives to leave attendees feeling energized and motivated to make their chamber the best it can be. We are honored to provide continued support to Chamber professionals as a Silver Sponsor, helping chambers to discover great ideas for building successful organizations and expand their knowledge on creating growth through rewarding member experiences. for dozens of techniques for building relationships with new contacts.